We began our Swiss twin-centre luxury skiing trip by flying in to Geneva and then transferring up to resort in true Swiss fashion… starting with the iconic red trains. The views, the efficiency and the space on-board all make travelling by train a very different experience than in the UK. Our first resort was Saas Fee and this involved changing in Visp and taking the bright yellow Post bus to the resort. We weaved our way up to the entrance of Saas Fee and stood in the sunshine for the hotel’s electric taxi to pick us up. For the uninitiated, a handful of Swiss resorts are car-free (Saas Fee and Zermatt among them) and to get around, the equivalent of a covered golf buggy ferries people, luggage and supplies around the resort making for a peaceful and noticeably cleaner village centre. The 5-star Hotel Capra (Latin for mountain goat and the hotel’s logo) is an understated boutique hotel offering 24 rooms and suites split over two buildings linked underground. The hub of the hotel is the bar, where we checked in and were offered a glass of the local Swiss wine, while the snow started to fall outside – we’d only been out of the UK for the best part of half a day and already it felt like we were utterly at ease. Before long we had done a quick recce of the hotel and found the 20m indoor pool, but more importantly the warm outdoor pool with Jacuzzi jets – a perfect spot to while away an hour before dinner. The pool and spa area are in the slightly newer building which is linked to the main building by an underground corridor, which also houses the ‘Fun Lab.’ As you might have guessed the hotel doesn’t take itself too seriously (but nor is it overly quirky) and the Fun Lab is an extension of the hotel’s laid-back style. Table tennis, table football and a big TV screen for kids with a Nespresso machine for the adults. The following day was our first ski day and that required a breakfast to match – The Capra didn’t disappoint. The restaurant provides a small but excellent quality buffet area in addition to a complimentary breakfast menu. My recommendation has to be their signature breakfast dish, The Capra Eggs (eggs Benedict with smoked salmon and avocado), very closely followed by the superb, almost weightless pancakes. Pure bliss. Despite the lure of the breakfast table, the mountain beckoned and the hotel ran us to their private ski room opposite the slopes. It provided sheepskin covered benches, bottles of water, another Nespresso machine and a spotless bathroom (not to be underestimated in the mountains). Our ski guide, Ben, from Optimum Ski was brilliant and having someone whose mother tongue is English made a real difference in helping us hone our skills. It’s worth noting that with only two chairlifts in the resort, there’s little rest between runs, but the stunning scenery, empty slopes and Ben’s chat distracted us from our aching calves. 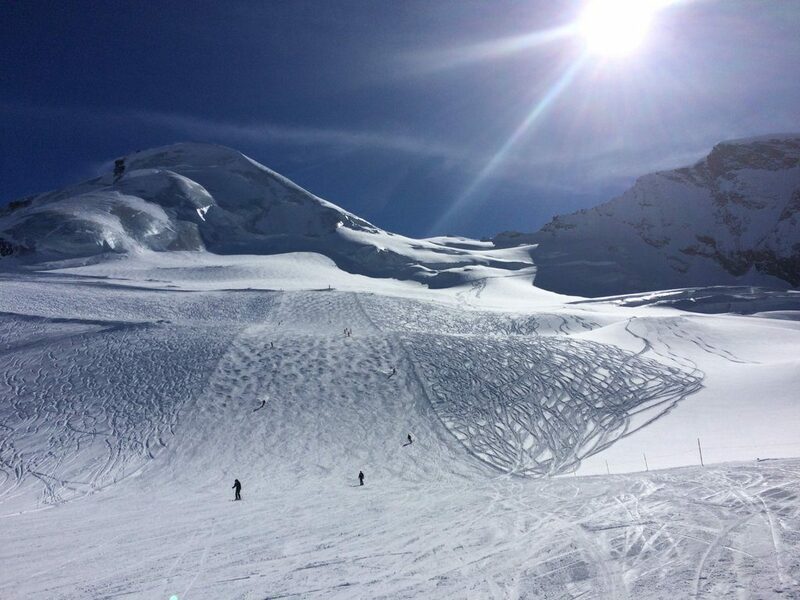 Saas Fee, much like The Capra, is relatively compact but packs a punch. The ski area offers something for everyone although beginners and more advanced intermediates/expert skiers are better catered for. 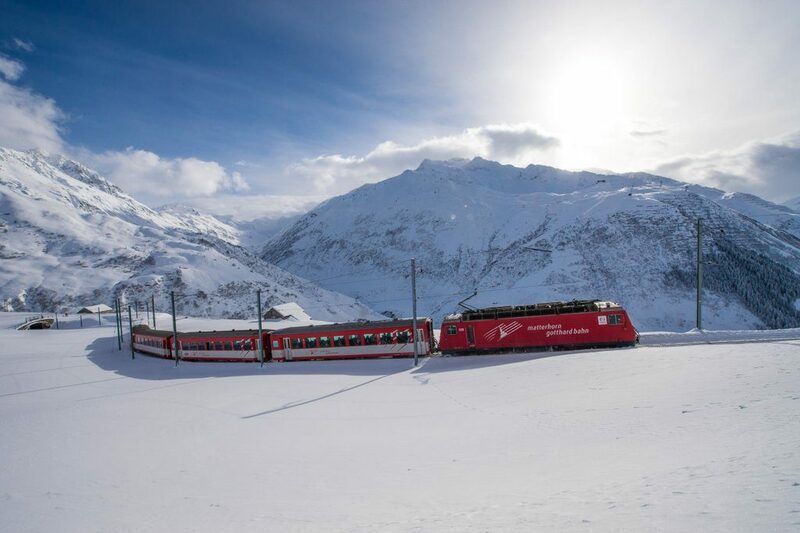 As we neared Andermatt on the train it became clear that we’d entered a winter paradise – the sun was shining and all around people were cross country skiing and winter hiking. The hotel has an entrance right opposite the train station and from the moment you step into The Chedi it’s impossible not to exhale deeply, allowing your body to relax and a smile to creep across your face. Our huge deluxe room could have housed a badminton court and before long we’d used the in-room iPad to switch on the fire, which we enjoyed from our sixth floor balcony, glass of champagne in hand. This was the life! Our busy schedule meant that we headed to the spa for massages and a ‘love bath’ (not as odd as it sounds but did involve more champagne so double the bubbles, which was fun). The Chedi’s pool and spa area (where we couldn’t tear ourselves away from) deserves a special mention as they are both incredibly generous in size and service. 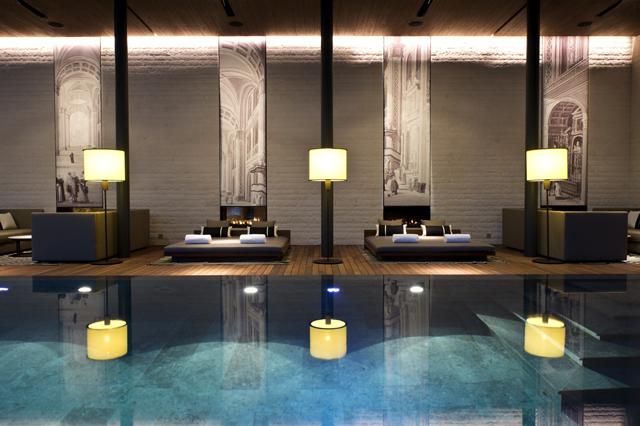 The pool stretches along one side of the hotel, flanked by sofas and loungers, each pair with a fireplace as a backdrop. Once you’ve chosen your spot, water, juice and a healthy snack arrive to keep you refreshed and you can read a newspaper while others exert themselves or get involved. My preference was for the toasty outdoor pool, whose warm water provided a sharp contrast to the cool air and snowflakes falling around us, while surrounded by the stunning mountains. 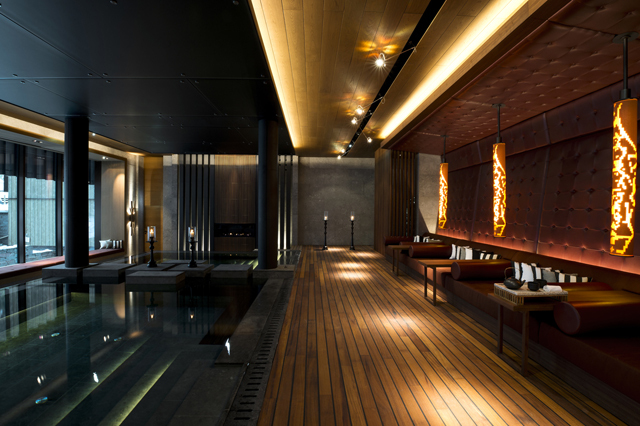 There are very few alpine spas as extensive as The Chedi and it was the perfect place to unwind and relax. 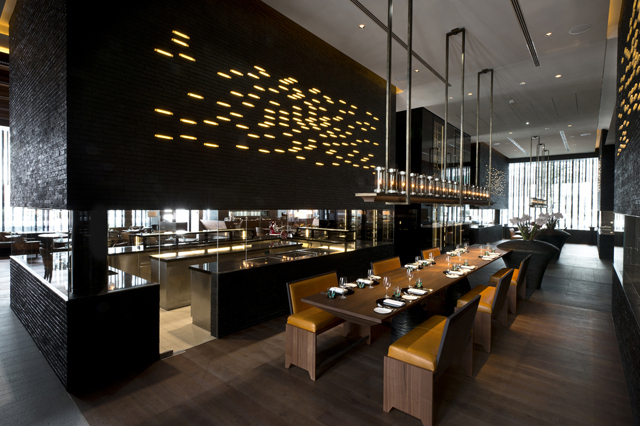 On our final evening we enjoyed The Chedi Restaurant’s varied menu. Each option has both a Swiss and an Asian-inspired alternative, making the decision making process a difficult one. My highlight was the perfectly cooked fillet steak and as I was unable to choose only one dessert, plumped for the trio of desserts, which didn’t disappoint. After our last night on one of The Chedi’s incredible hypoallergenic horsehair beds, which are an absolute dream to sleep on (you’d struggle to get much change from £30k should you want to invest in this level of luxury at home), we reflected on a fantastic holiday that had allowed us both to utterly relax and bade farewell to Switzerland. We had already agreed we should return for a future wedding anniversary – and paper’s a pretty important one to celebrate, right? 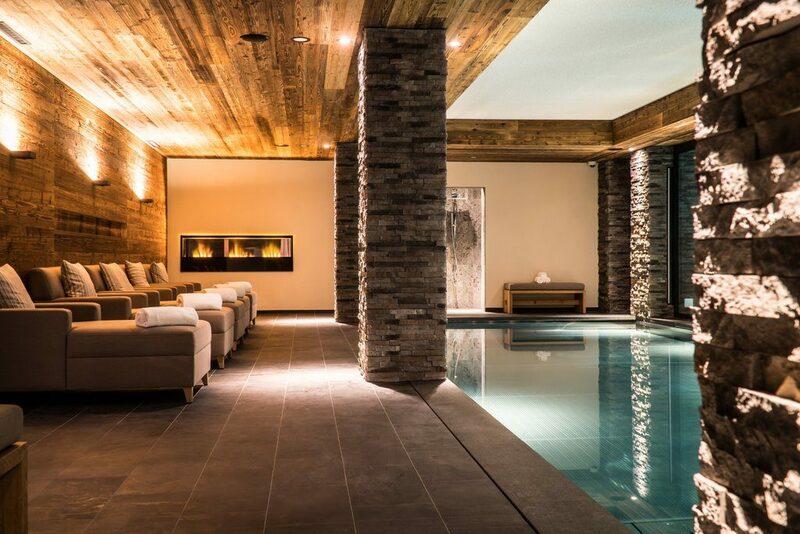 For more advice and to arrange your next ski getaway, including twin-centre luxury skiing, contact our team of Ski Specialists. Call the team on 0131 243 8097 or request a tailor-made quotation online.